Just like there’s a particular knack to getting the ‘no-makeup look’, same goes for acing the ‘natural’ hair look. So if you want ‘just returned from a month in The Maldives’ sunkissed hair all year ’round, then we have just the solution. In fact, this magical colouring technique achieves hair looking so natural, you’ll want to blend it in a smoothie. Promise. ‘Indian Sun’ is a clever personalised hair contouring technique exclusive to Franck Provost Paris. One dose of Indian Sun and you’ll have everyone guessing what you’ve done to make your face shape change and skin glow. In a nutshell, hair contouring is a type of balayage and uses a combination of freehand colour application and strategically placed highlights to alter the appearance of your face shape by accentuating your best features and enhancing your natural skin tone. Hair is transformed from dull to dazzling and has a beautiful sunkissed effect, just like you’ve spent a holiday by the beach. So how does Indian Sun work? “Darker tones create shadows and are used to shorten or narrow the face shape, whilst lighter tones lengthen the face shape by reflecting light,” explains Chloe Benoit, Franck Provost Master Stylist. 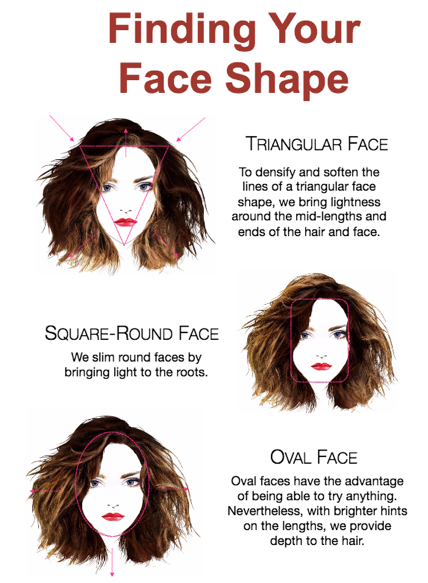 “We begin the consultation by assessing a client’s face shape (oval, triangle or square/round) and current colour and carefully select complementary tones as well as a colour placement map that will perform an optical illusion, making the face appear more defined and to accentuate the features. We also determine what type of look the client wants, and if her preference is for cool or warm tones. Indian Sun works on any hair type and colour, however to keep the effect looking natural and subtle, the tones are generally no more than two or three shades above or below the hair’s natural colour. “The beauty of Indian Sun is that it’s a 100% bespoke colouring service that is literally designed to suit your unique facial composition. We tailor the application specifically for you, choosing colours based on your skin tone and positioned to enhance your bone structure and features and to also complement your haircut. You can totally nail natural looking summer hair, even in the depths of winter, with Franck Provost’s Indian Sun hair contouring technique. A completely personalised natural colour that is 100% unique to you and extremely low maintenance – what’s not to love?